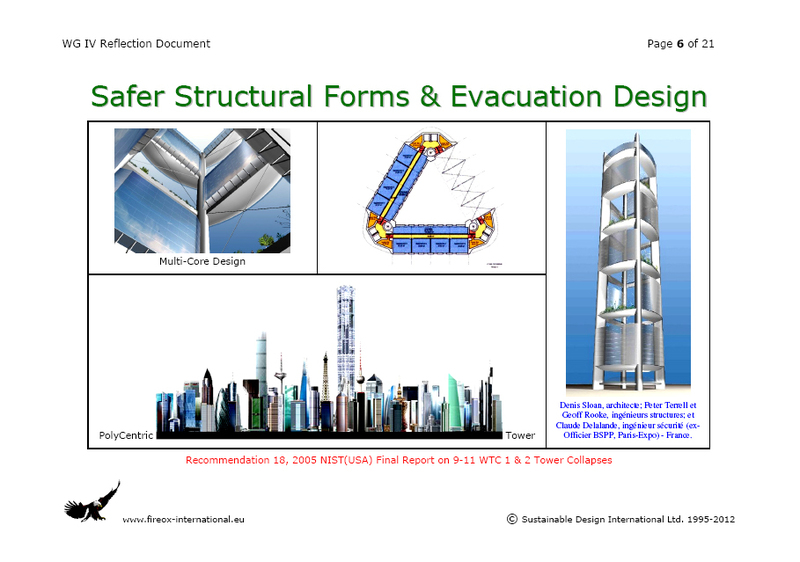 Conventional Structural Fire Engineering Design – How Flawed ? ‘Introduction’, Report of the Tribunal of Inquiry on the Fire at the Stardust, Artane, Dublin, on the 14th February 1981. Report dated 30 June 1982. As a young architect in private practice … I witnessed, at first hand, the Dublin Fire ‘Establishment’ disappear from public view, without trace, after the Stardust Fire Tragedy. 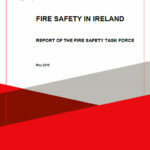 It was almost impossible, for at least a year afterwards, to have a meeting with any Fire Prevention Officer in the Dublin Fire Authority. This was a very valuable lesson. Later, following the publication of the Stardust Tribunal Report … were its Recommendations implemented … with urgency … and conscientiously ? No way. For example, it was more than ten years after the Stardust Fire before an inadequate system of legal National Building Regulations was introduced in Ireland. And to this day, the system of AHJ monitoring of construction quality, throughout the country, is weak and ineffective … lacking both competent personnel and resources ! 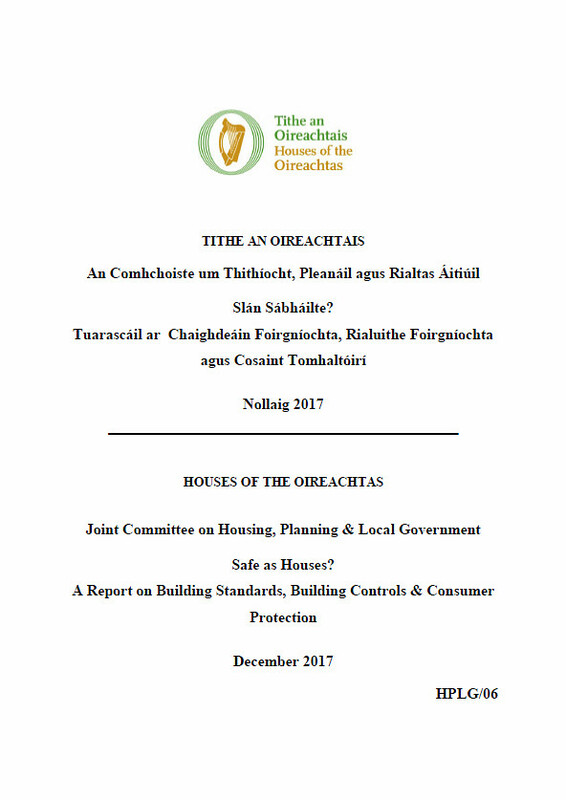 The proof of the pudding is in the eating … and one of the results, also in Dublin, has been last year’s debacle at the Priory Hall Apartment Complex … where all of the residents had to leave their expensive apartments for fire safety (and many other) reasons. The tip of a very large iceberg. See my post, dated 18 October 2011 . ‘Chapter 9 – Conclusions & Recommendations’, Report of the Tribunal of Inquiry on the Fire at the Stardust, Artane, Dublin, on the 14th February 1981. Report dated 30 June 1982. This Recommendation has still not been implemented … and note the reference to the earlier fire at the Summerland Leisure Centre in 1973, on the Isle of Man, when 50 people were killed and 80 seriously injured. Today … the same attitude of mind, described so well above, stubbornly persists in all sectors, and in all disciplines, of the International Construction Industry … even within ISO Technical Committee 92: ‘Fire Safety’ ! 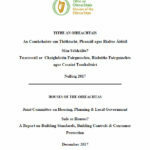 … and the contents of the CIB W14 Research WG IV Reflection Document … which, together with its 2 Appendices, can be downloaded from this webpage … https://cjwalsh.ie/progressive-collapse-fire/ … under the section headed: ‘April 2012’. However … I am utterly dismayed by the number of ‘people-who-need-to know’ … who do not know … and have never even bothered to dip into the 2 NIST Reports … or the many long-term Post 9-11 Health Studies on Survivors which have already revealed much priceless ‘real’ information about the short and medium term adverse impacts on human health caused by fire ! CIB W14 Research Working Group IV would again strongly caution that Fire-Induced Progressive Damage and Disproportionate Damage are fundamental concepts to be applied in the structural design of all building types. While attending the ISO TC92 Meetings in Thessaloniki, during the last week of April 2012, I noticed not just one reference to ‘fire doors’ in a Draft ISO Fire Standard … but many. It surprised me, since I thought this issue had been successfully resolved, at ISO level, many years ago. There is no such thing as a ‘fire door’ … and the careless referencing of such an object, which has no meaning, in building codes and standards has caused countless problems on real construction sites during the last 20-30 years. Fire Resistance: The inherent capability of a building assembly, or an element of construction, to resist the passage of heat, smoke and flame for a specified time during a fire. Doorset: A building component consisting of a fixed part (the door frame), one or more movable parts (the door leaves), and their hardware, the function of which is to allow, or to prevent, access and egress. Fire Resisting Doorset / Shutter Assembly: A doorset / shutter assembly, properly installed or mounted on site, the function of which is to resist the passage of heat, smoke and flame for a specified time during a fire. … and so we arrive at the correct term … Fire Resisting Doorset … which, as an added bonus, also alerts building designers, construction organizations, and even AHJ inspectors, to the fact that there is more involved here than merely a door leaf. Now then, I wonder … how, in any sane and rational world, can the term Fire Resistance be used in relation to structural performance during a fire, and the cooling-phase afterwards ? Yet, this is exactly what I read in the building codes of many different jurisdictions. Do people understand what is actually going on ? Or, is the language of Conventional Fire Engineering so illogical and opaque that it is nearly impossible to understand ? And … if this problem exists within the International Fire Science & Engineering Community … how is it possible to communicate effectively with other design disciplines at any stage during real construction projects. The artificial environments found in academia are not my immediate concern. 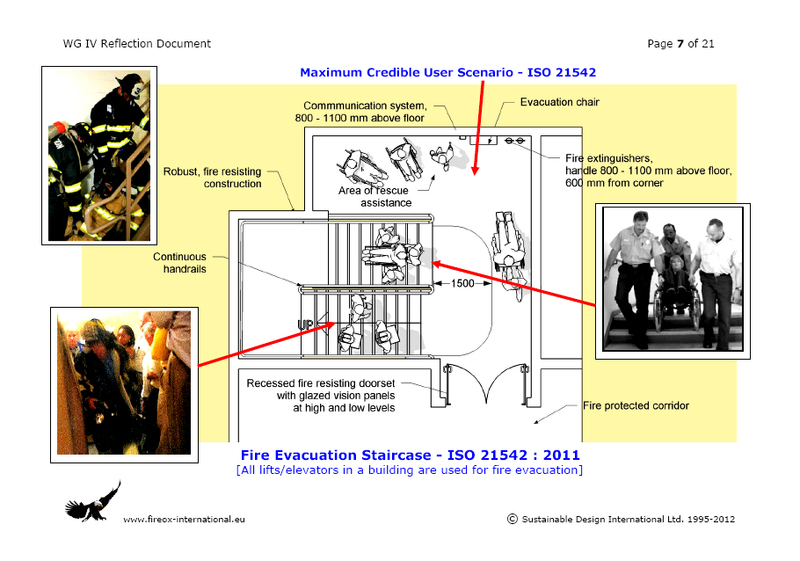 In 2012 … there is something very wrong when you have to struggle to persuade a group of people who are developing an ISO Standard on Design Fire Scenarios … that they must consider Environmental Impact as one of the major consequences of a fire to be minimized … along with ‘property losses’ and ‘occupant impact’. This is no longer an option. 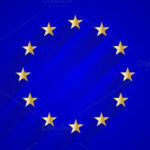 Environmental Impact: Any effect caused by a given activity on the environment, including human health, safety and welfare, flora, fauna, soil, air, water, and especially representative samples of natural ecosystems, climate, landscape and historical monuments or other physical structures, or the interactions among these factors; it also includes effects on accessibility, cultural heritage or socio-economic conditions resulting from alterations to those factors. 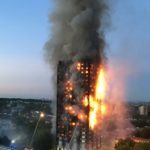 So … how timely, and relevant to practitioners, are ISO Fire Standards ? Perhaps … obsolete at publication … and not very ?? Built Environment: Anywhere there is, or has been, a man-made or wrought (worked) intervention in the natural environment, e.g. cities, towns, villages, rural settlements, service utilities, transport systems, roads, bridges, tunnels, and cultivated lands, lakes, rivers, coasts, and seas, etc … including the virtual environment. We should be very conscious that valuable fire-related research takes place outside, and unrelated to, the established fire engineering groupings of CIB W14 & ISO TC92. But I am curious as to why this research is not properly acknowledged by, or encouraged and fostered within, the ‘system’ ? Colour image, from one of my Overhead Presentations ... showing The PolyCentric Tower (2005), developed by a French Multi-Disciplinary Design Team in response to Recommendation 18 in the 2005 NIST WTC Report. Click to enlarge. Colour image, from one of my Overhead Presentations ... showing the design of a notional Fire Evacuation Staircase, with an adjoining Area of Rescue Assistance, which responds directly to the 2005 NIST WTC Recommendations. See Figure 62 in ISO 21542:2011. Click to enlarge. 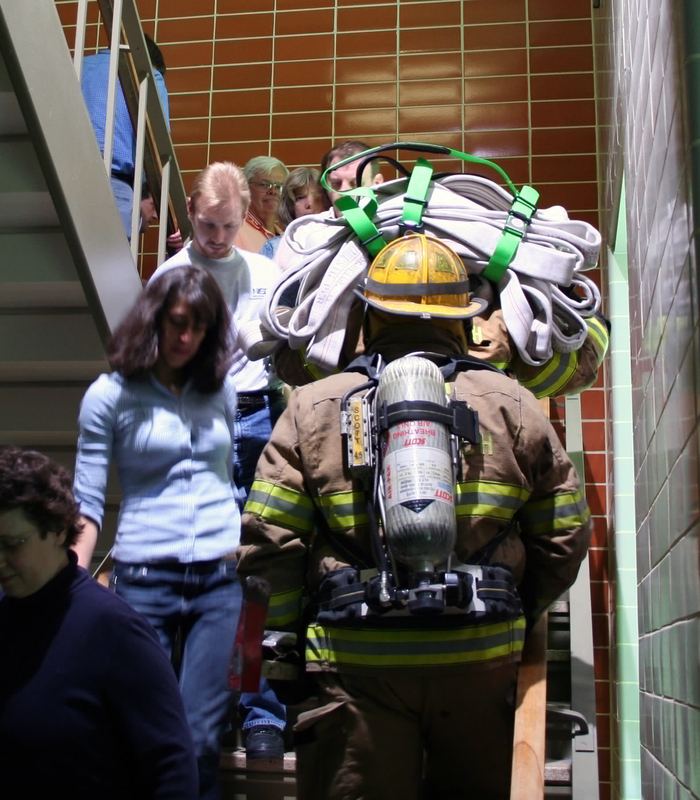 With the involvement and support of ISO Technical Committee 178: ‘Lifts, Elevators & Moving Walks’ during its long gestation … ISO 21542 is now able to indicate that all lifts/elevators in a building should be capable of being used for evacuation in the event of a fire. This is already a design feature in a small number of completed Tall Building Projects. Once more, this is no longer an option. 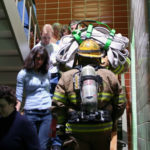 Firefighter Removal & Contraflow … shown above, top left, is removal of a firefighter from a building by colleagues in the event of injury, impairment, or a fire event induced health condition … while other firefighters may still be moving towards the fire. Note that in a Fire Evacuation Staircase … all Handrails are continuous … each Stair Riser is a consistent 150 mm high … each Stair Tread/Going is a consistent 300 mm deep … and there are No Projecting Stair Nosings. 10% of people using a building (including visitors) have an impairment, which may be visual or hearing, mental, cognitive or psychological, or may be related to physical function, with some impairments not being identifiable. The Greek Paper is included as Appendix I of CIB W14 WG IV Reflection Document … in order to show that Fire-Induced Progressive Damage is also an issue in buildings with a reinforced concrete frame structure. It is more straightforward, here, to concentrate on buildings with a steel frame structure. A single isolated loaded steel beam, simply supported, is being tested. As deflection is the only type of deformation being observed and measured … the critical temperature of the steel, i.e. the point when material strength begins to fail rapidly and the rate of beam deflection increases dramatically … is the sole focus for all stakeholders. Using these Tables, it is very difficult to escape the conclusion that we are merely interior decorators … applying flimsy thermal insulation products to some steel structural elements (not all !) … according to an old, too narrowly focused, almost static (‘cold form’) recipe, which has little to do with how today’s real buildings react to real fires ! This ‘non-design’ approach is entirely inadequate. ” You should be aware that Table A1 and Table A2 are only appropriate for use by designers in the case of single, isolated steel structural elements. In steel structural frame systems, no consideration is given in the Tables to adequate fire protection of connections … or limiting the thermal expansion (and other types of deformation) in fire of steel structural elements … in order to reduce the adverse effects of one element’s behaviour on the rest of the frame and/or adjoining non-loadbearing fire resisting elements of construction. The failure of a building’s structural system (i) remote from the scene of an isolated overloading action; and (ii) to an extent which is not in reasonable proportion to that action. 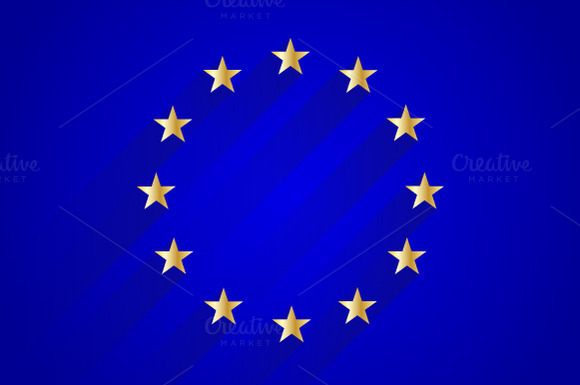 Coming from this background and heritage … it is very difficult to communicate with mainstream, ambient structural engineers who are speaking the language of structural reliability, limit state design and serviceability limit states. In recent years, the fire performance of large-frame structures has been shown in some instances to be better than the fire resistance of the individual structural elements (Moore and Lennon 1997). 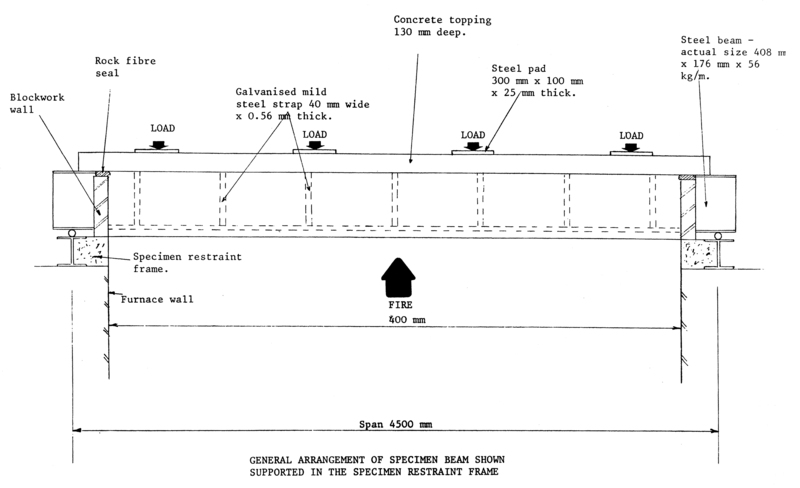 These observations have been supported by extensive computer analyses, including Franssen, Schleich, and Cajot (1995) who showed that, when axial restraint from thermal expansion of the members is included in the analysis of a frame building, the behaviour is different from that of the column and beam analyzed separately. Those were Experimental Fire Tests at Cardington, not Real Fires … on ‘Engineered’ Test Constructions, not Real Buildings !! And … incredibly, for a 2009 document … there is no mention at all of World Trade Center Buildings 1, 2 or 7 !?! Where did they disappear to, I wonder ? Too hot to handle ??? Computer Model Verification and Validation (V&V) are very problematic issues within the International Fire Science and Engineering Community. The expected outcome of a Model V&V Process, however, is a quantified level of agreement between experimental data (and, if available, real data) and model prediction … as well as the predictive accuracy of the model. NIST recommends that the technical basis for the century-old standard for fire resistance testing of components, assemblies and systems be improved through a national effort. Necessary guidance also should be developed for extrapolating the results of tested assemblies to prototypical building systems. A key step in fulfilling this Recommendation is to establish a capability for studying and testing components, assemblies, and systems under realistic fire and load conditions. Of particular concern is that the Standard Fire Resistance Test does not adequately capture important thermally-induced interactions between structural sub-systems, elements, and connections that are critical to structural integrity. System-level interactions, especially due to thermal expansion, are not considered in the standard test method since columns, girders, and floor sub-assemblies are tested separately. Also, the performance of connections under both gravity and thermal effects is not considered. The United States currently does not have the capability for studying and testing these important fire-induced phenomena critical to structural safety. The design approach outlined in NISTIR 7563 is not only very flawed … it lacks any validity … because very relevant and important real fire data has been totally ignored. The Cardington Experimental Fires were not all that they seemed. 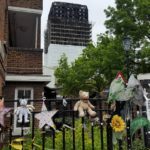 My first concern is that the Structural Fire Engineering Design has been undertaken in isolation from other aspects of the Building’s Fire Engineering Design. Should these not be the Project-Specific Fire Engineering Design Objectives ? Since when, for example, is ‘continuity of operations’ a concern in building codes ?? The Fire Safety Objective of the Steel Structure: There should be no serious damage to the structure or successive collapse in case of fire. (3) Prevent or limit the structural deformation or collapse so as not to increase the cost or difficulties of the after-fire restoration (to reduce reconstruction cost). Once again … we see an emphasis on critical temperature, beam deflection (only), and material strength. 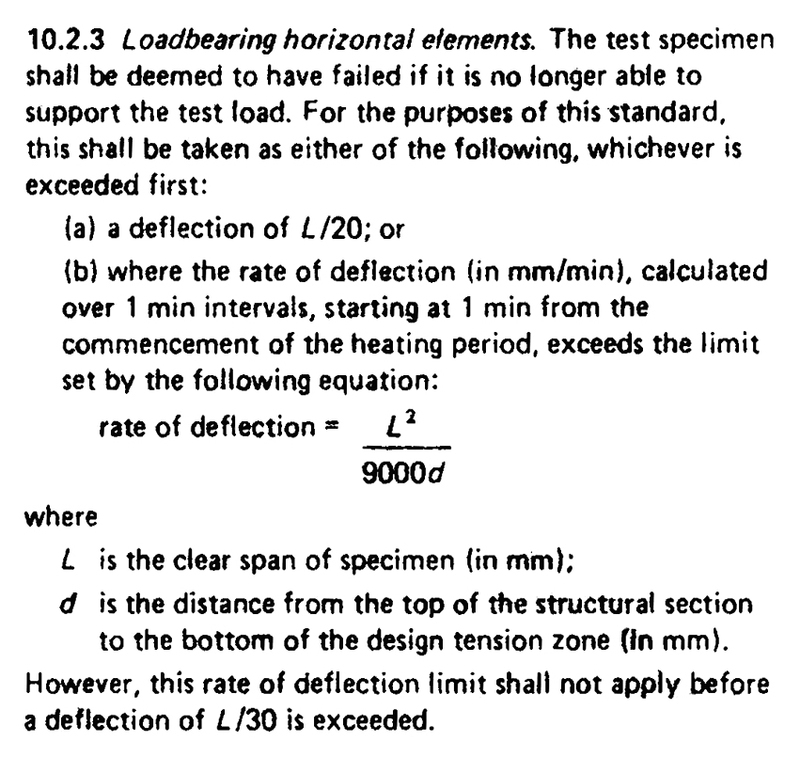 L/400 is an impressive Fire Serviceability Limit State … a different world from L/20 or L/30 … but what about other important types of steel structural member deformation, e.g. thermal expansion and distortion ?? Furthermore … if there is a major fire in the area under the lower roof (see Section above) … because of structural continuity, any serious impact on the small frame will also have an impact on the large frame. 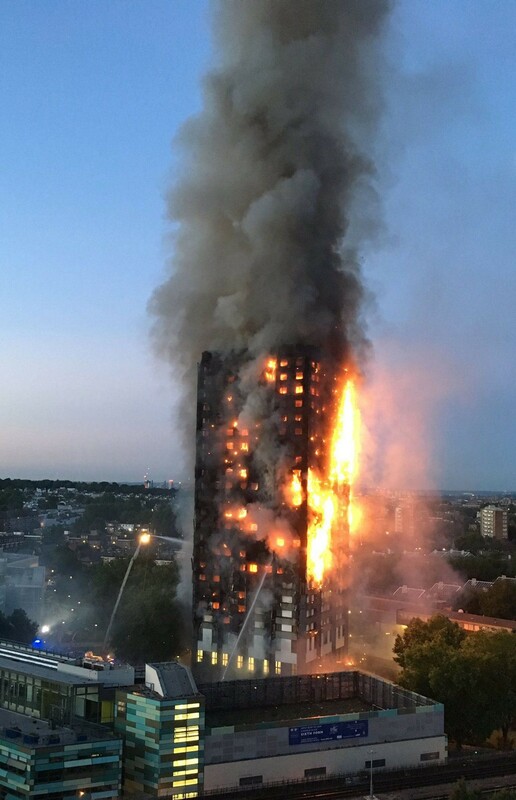 For Structural Fire Engineering reasons … would it not be wiser to break the structural continuity … and have the small and large portal frames act independently ? It is proposed that the Portal Frames will NOT be fully fire protected … just the columns, up to a height of 8 metres only. 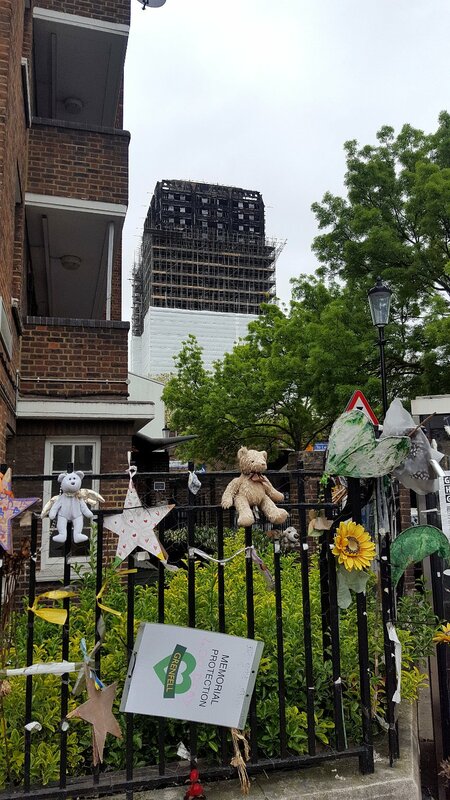 If ‘conservation of property’ and ‘continuity of operations’ are important fire engineering design objectives in this project … why isn’t all of the steel being fully protected ??? What would be the additional cost, as a percentage of the total project cost ? What exactly is infallible about current Design Fires and Design Fire Scenarios ??? Not much. And in the case of this particular building, should a ‘maximum credible fire scenario’ be at least considered ? And … what is the fire protection material, product or system being used to protect the Portal Frames ? Will it be applied, fixed or installed correctly ? What is its durability ? Will it be able to resist mechanical damage during the construction process … and afterwards, during the fire event ? What is the reliability of this form of fire protection measure ?? 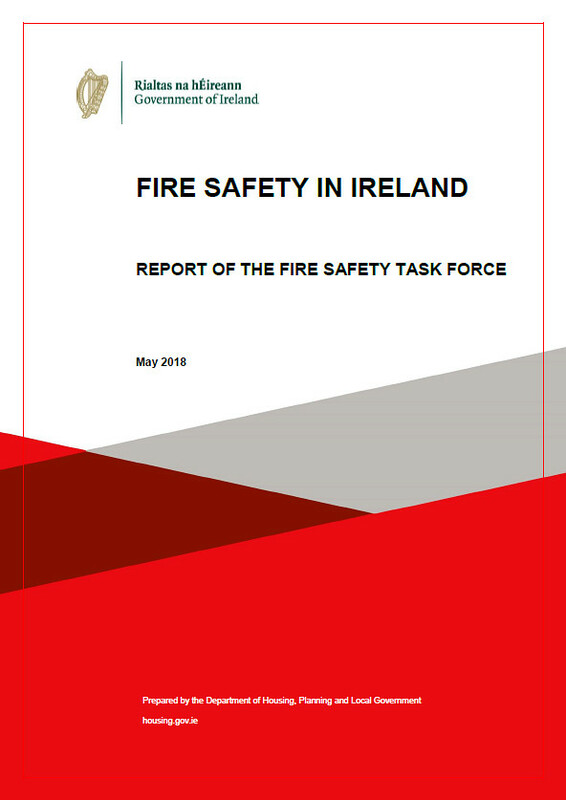 2009-10-18: In everyday practice, the usual short introductory text in Technical Guidance Document M (Ireland) which refers to a linkage between ‘access and use’ of a building with ‘fire safety’ has little impact, because it is not explained … and is typically ignored. In general … the basic problem is that this issue is hardly dealt with … at all … by Local Fire Authorities right across the country in their handling of Fire Safety Certificates … and where it does become part of the process, it receives inadequate attention. There are exceptions. A major drawback with the current vertical approach to our Building Regulations … each of the Parts has its own separate Supporting Technical Guidance Document … is that people are not sufficiently aware of the important horizontal linkages between the different Parts. For example, all of the other Parts must be linked to Part D. Quick, run to find out what Part D covers ! Another two examples … Part B must also be linked to Part A and Part M … and Part M must also be linked to Part K and Part B. So … while grudgingly having to accept that the scope of TGD M should have some limit, under the current flawed system … a precise intervention with just one or two sentences, at critical places in the guidance text, would help to improve the overall consideration of fire safety issues, relevant to Part M, by building designers … and client or construction organizations. Note: No such guidance is contained in TGD B (2006). It would be a great wonder if any person with a disability could actually evacuate a building which had been designed in accordance with TGD B. To take a simple example … all of the ‘stairways’ in Table 1.5 of TGD B – Minimum Width of Escape Stairways will not facilitate contraflow or the assisted evacuation of mobility and visually impaired people. Furthermore, those minimum widths specified in the Table may have a clear width which is 200 mm less. 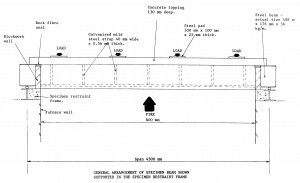 See Methods of Measurement, Paragraph #1.0.10 (c) (iii) … ” a stairway is the clear width between the walls or balustrades, (strings and handrails intruding not more than 30 mm and 100 mm respectively may be ignored) ” ! What an incoherent mess !! Note: See Footnote (5) to Table 1.5 in TGD B (2006) … ” The minimum widths given in the table may need to be increased in accordance with the guidance in TGD M: Access for People with Disabilities.” DUH ? Note: More guidance could be provided under each of the individual paragraphs of Section #1.6 of Draft TGD M (2009). See Draft International Accessibility-for-All Standard ISO 21542.